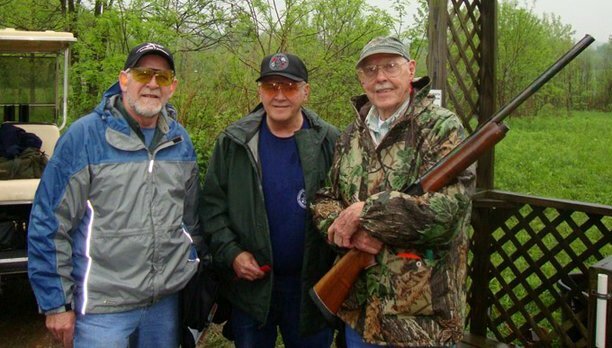 Wheeling, WV Local 818 Secretary-Treasurer Jack Williams, Jr. (middle) and member Jim Ferda (right) team up with IBEW Local 56 member Edward Foll to take home the top team prize at the USA’s 2nd Annual Pittsburgh Area Sporting Clays Shoot. Wheeling, WV Local 818 Secretary-Treasurer Jack Williams, Jr. and member Jim Ferda took home the top team prize of “High Overall Average” at the Union Sportsmen’s Alliance (USA) 2nd Annual Pittsburgh Area Sporting Clays Shoot. Williams and Ferda teamed up with an IBEW member on a day that brought together union members and their families for fun-filled, outdoor recreation. The event is held each year to raise money to support USA’s nationwide conservation program, Boots on the Ground. USA is a conservation-based, non-profit organization exclusively for union members, retirees and their families. It works to expand and improve hunting and fishing access and wildlife habitat throughout North America.